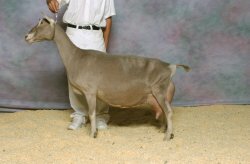 SD: Cherry Glen Wyn Anna 2*M EX92, 2 GCH legs; 2004 ADGA National 2nd Yrlg Milker; member of 1st Place Produce of Dam & 1st Best Three Females; 2006 ADGA National 1st/1st udder 3 y.o. 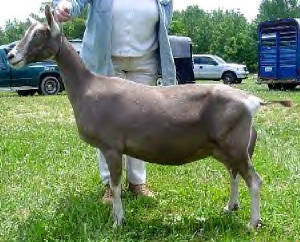 ; 2007 NYSDBGA GCH in both rings; litter sister, Alexa was a 2002 Spotlight Nominee & litter brother, CH Amory sired the 2005 ADGA Jr Reserve National Champion! 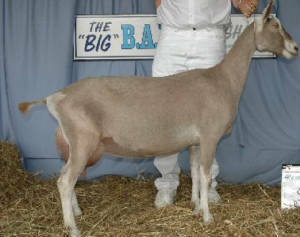 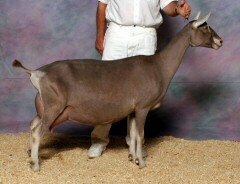 2006 ADGA National 1st/1st udder 3 y.o.